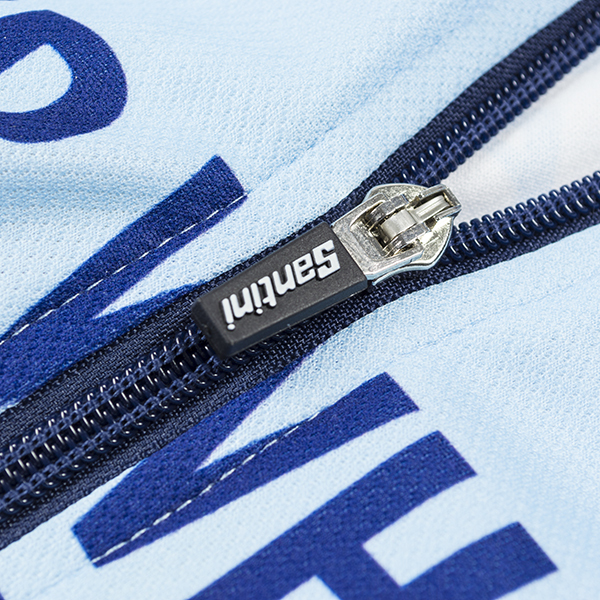 Have you ever put on your favorite cycling jersey just to find out the zipper wouldn’t zip up? In our throw away society, it’s so easy to just toss something that isn’t working and buy a new one….right? Well, that’s not my style….especially here in Grenada where you learn to fix everything you can. Buying new is not as simple as in other parts of the world. Okay, so over the past few weeks I’ve had zipper issues with two of my cycling jerseys. When it happened the first time, I put it aside so that I could look into it at another time. But then it happened again and I knew it was time to look into how to fix it. I could connect the two parts of the zipper together, but it would just not zip up no matter how soft or strongly I tried to get it up. A quick Google search provided me with a few different options. Since I live in a house with young kids, the crayon option first caught my eye. I read the description, reached over to grab a crayon, and rubbed it up and down the zipper. It was instantly and so easily fixed. Yes, 30 seconds to search for a solution and apply it…..and my jersey was totally fixed. Crayon – Grab a crayon and rub it up and down the teeth of both sides your stuck zipper. Use one that is the same color as the fabric the zipper is attached to in case any rubs off on it. Candle Wax – Rub an unlit candle up and down the teeth of both zipper sides. The was should help it glide back into place. Beeswax Lip Balm – Rub clear colored beeswax lip balm along teeth of both sides of zipper. Graphite Pencil – Rub the tip of a graphite pencil up and down the teeth of both sides of the stuck zipper. This option might work better on a metal zipper, whereas the cycling jerseys I’ve seen are plastic. Bar of soap – If you have a translucent or natural colored bar of soap, that would be best. Otherwise grab what you have and rub it along the zipper teeth. Windex – If you’re tried everything else, and nothing will work….try the Windex method. This option also might be the best one if the zipper is already zipped together and stuck. If so, spray on some Windex and try pulling the zipper down to unzip it. Keep tension on the zipper and continue to spray until it unsticks. Got any other suggestions? Let us know what has worked for you. I bet my brother would love to learn about this. He got really into biking in the last couple of years. He lost over a hundred pounds that way.